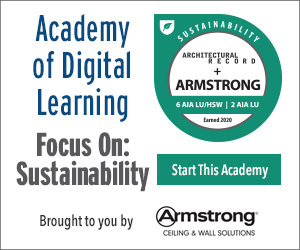 Discuss new installation systems that navigate the challenges of designing ceilings from one end of a building to another. 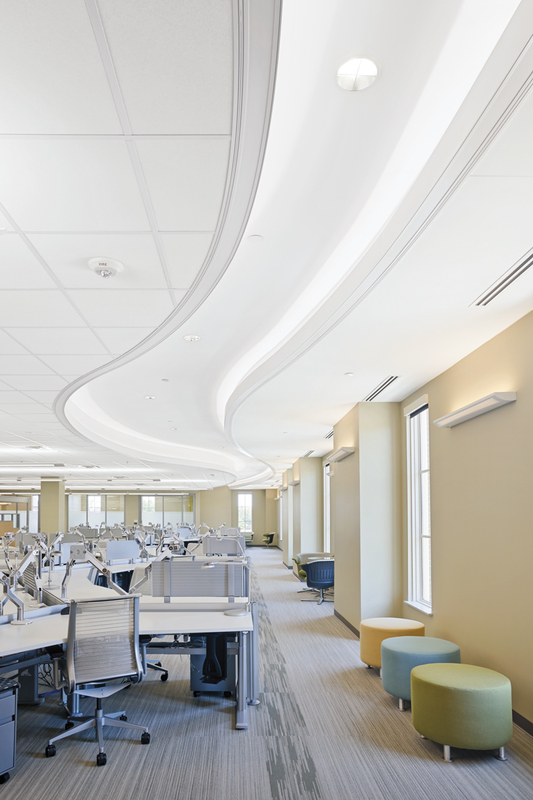 New solutions are available that make building high-performance, aesthetically pleasing, integrated ceilings faster and easier than ever before. Traditional ceiling construction methods are less and less compatible with current design trends, expedited construction schedules, and sustainability practices. You are challenged with designing spaces that that meet your clients’ design intent and IBC and ASTM requirements, while contractors are pushed to meet accelerated construction schedules. By collaborating early with your ceiling partner, you can ensure best practices are followed for your project to meet design intent. The Design Need: The client desired a clean, consistent visual across the building, including transitions from the perimeter windows to the interior suspended acoustical ceilings. Much of the design intent was not achievable using conventional framing techniques. Intensive coordination of services above the suspended ceiling, including HVAC, mechanicals, fire suppression, and lighting, dictated a structurally sound system that trades could work in and around easily. The Solution: Pre-engineered ceiling systems were utilized to guarantee the contractor could build within the design vision and intent and keep the project ahead of schedule and on budget, while meeting LEED Silver certification requirements. Pre-engineered ceiling components were used in the Bell Helicopter headquarters construction to reduce coordination between trades, labor costs, and to speed the construction schedule. The ceiling components met the same codes and standards as traditionally built, on-site systems and reflected the identical design intent and specifications of the most sophisticated site-built systems using the same architect-specified materials. Thirty to 50 percent faster to build and install compared to traditionally constructed ceilings, they generate less waste, provide consistent quality throughout the building, and meet tighter construction schedules. Pre-engineered components and related details can be included in specifications to ensure consistent installed visuals throughout a project. Pre-engineered ceiling systems are often already tested and approved for use in Seismic DEF building areas, backed by the required certifications available from the manufacturer. If you are specifying for a LEED project, components can contribute to credits. 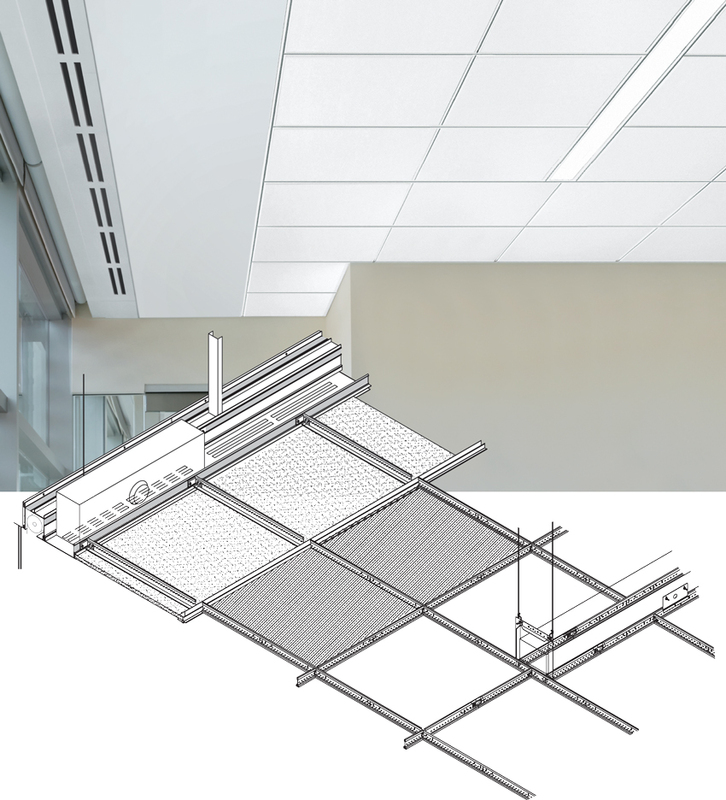 In addition to traditional ceiling systems, examples of pre-engineered ceiling system solutions include: drywall suspension systems for ceilings and soffits, light coves, shade pockets, transitions, and acoustical clouds and canopies.